Don't miss a connection again. When we meet someone new, we often exchange minimal amounts of information after a great interaction, usually a phone number or Facebook request. What about all their other accounts? Their LinkedIn, Twitter, Instagram, and so much more? 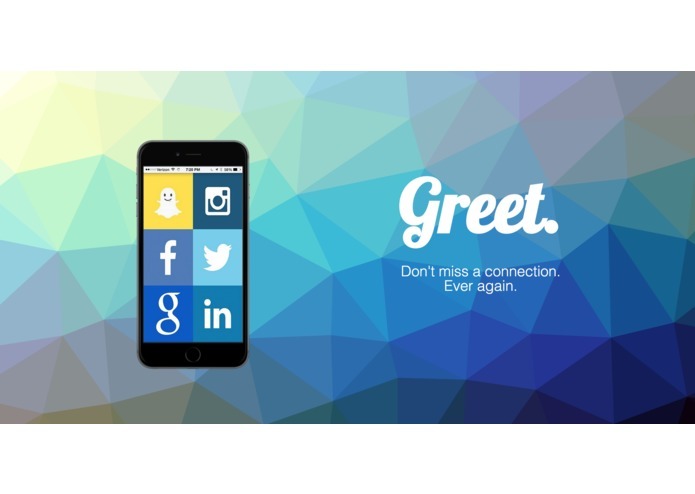 Greet allows users to sign in to as many social network accounts as they have (30+) and choose which ones to send requests on to new friends. When the other person gets a notification of a "Greet," they choose which social networks to connect on as well. Neither person can see what the other has requested. The two users will be added on all social networks that both chose in common.